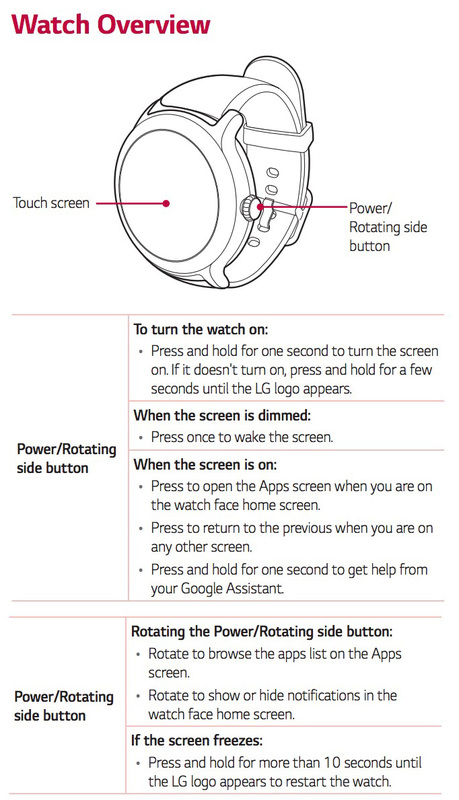 LG and Google may announce two new Android Wear watches this week, the LG Watch Sport and Watch Style. 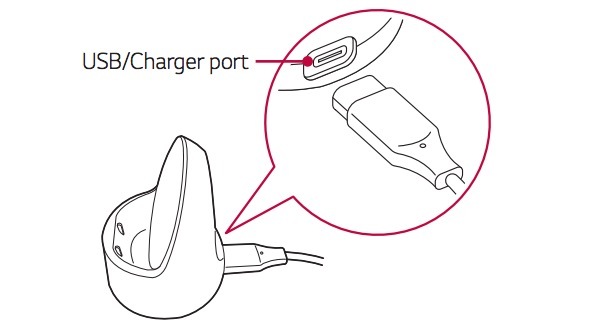 Even though these are LG devices, packaging hints at these being influenced (at least in terms of design) by Google. I don’t know that I would call them “Nexus” watches, but you get the feeling that LG and Google teamed up to create what they believe to be the ultimate Android Wear devices as a way to launch Android Wear 2.0. 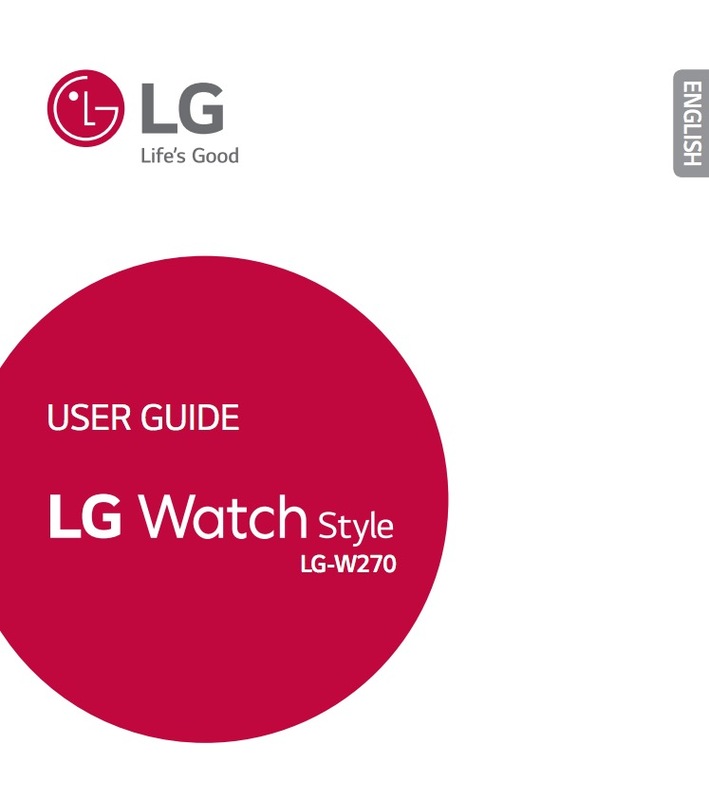 While we wait for LG and Google to fully unveil these new wearables, we wanted to add to the pre-launch story today by sharing the user guides for each watch. 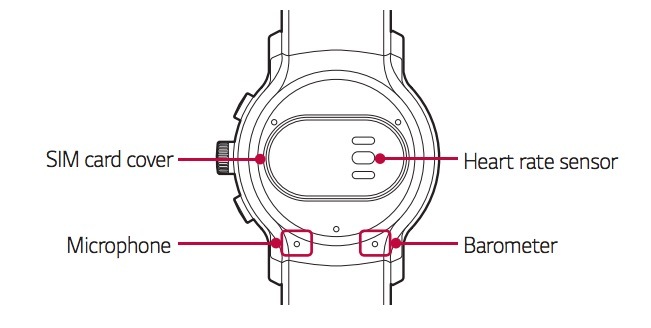 The guides don’t necessarily share the full specs, but they do offer up additional imagery of the shapes and designs of each watch, plus they dive into functionality, like making payments over NFC with the Sport or easily changing bands on the Style. 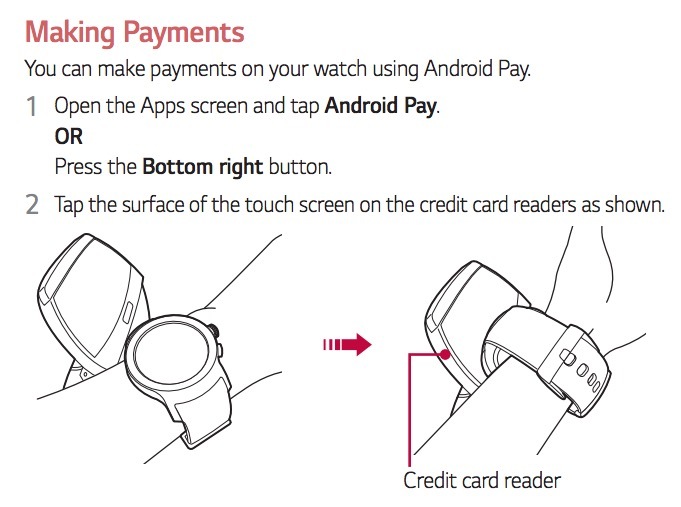 They also talk about using the rotating side button to navigate each, taking advantage of Google Assistant from your wrist, and placing calls on the Sport, since it’ll feature a SIM card. Buttons: Each device does indeed featuring a rotating crown button that allows you to navigate apps lists and notifications with a twist. 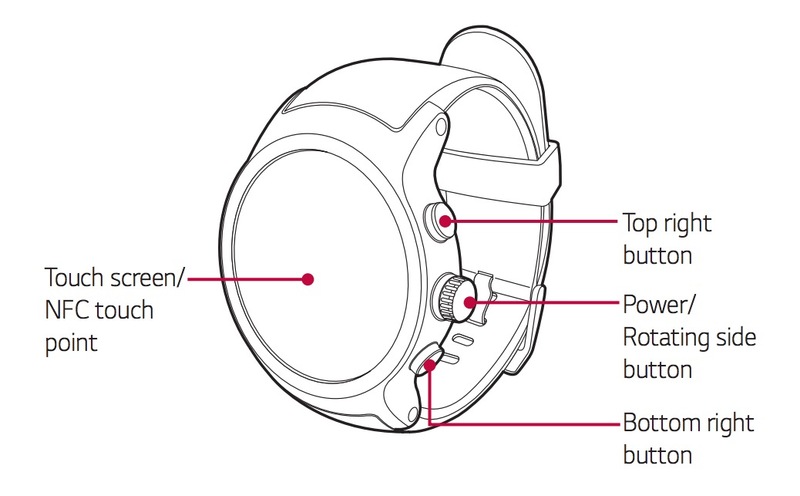 The Watch Sport features two additional pushers that let you launch apps. The top defaults to the Fit Workout app and the bottom defaults to Android Pay. You can customize them, though, to whatever you want. They also control volume up or down during calls. 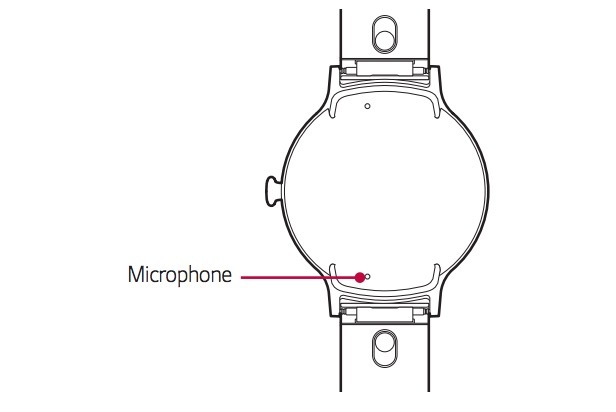 Sensors: The LG Watch Sport will feature a heart rate sensor, GPS, and a barometer, while the Watch Style won’t have any of those. 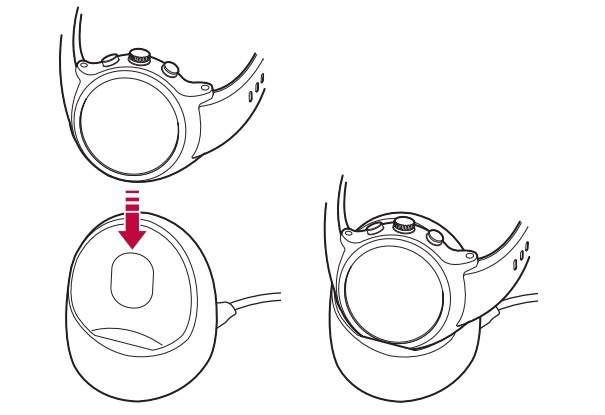 Charging: LG Watch Sport will come with a charging cradle that you drop the device in for charging, while the Watch Style will use a flat-lying charging pad. 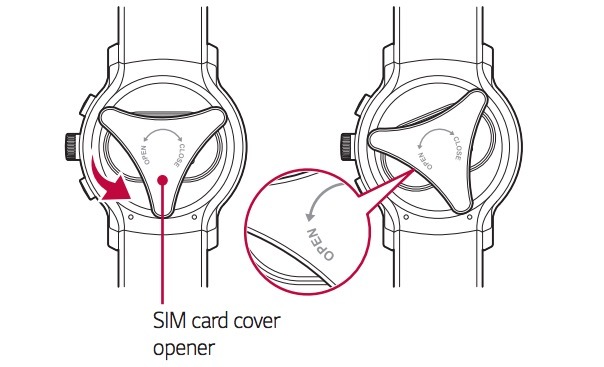 SIM card: With the Watch Sport, you’ll replace the SIM card it uses to connect to wireless networks with a tool that helps you remove the bottom plate of the watch. The user guide available at this time is for the AT&T model, but I’d be shocked if there isn’t a Verizon model sold at or around the same time. 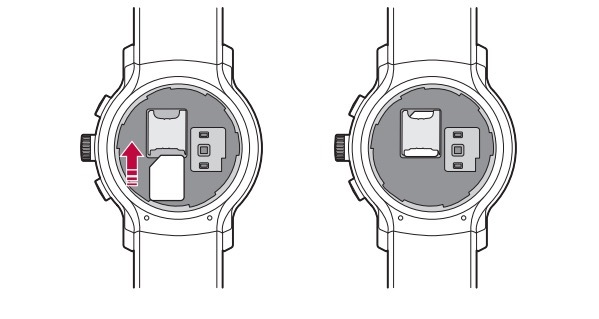 Watch bands: The user guide shows that you can easily change the watch bands out on the Watch Style, which would make sense as a more fashion-forward timepiece. The Watch Sport, on the other hand, doesn’t look like it’ll be quite as easy. 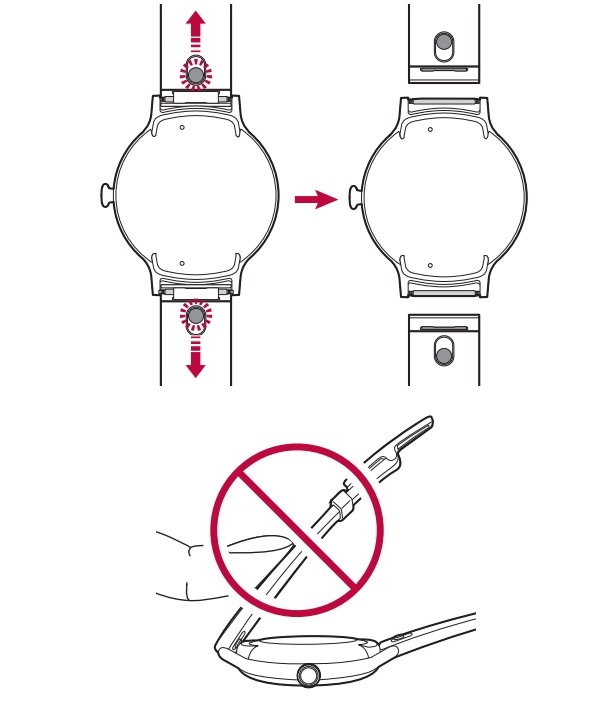 You can’t just swap out MODE bands like you can on the Style, but you may instead of have to deal with watch pins and tools. If you want, you can download each at LG’s site through the link below. If that sounds like hell, we’ve captured some of the goodies below to prepare for this week’s potential launch.